The Marquette men’s tennis team battled conference opponents Xavier and Butler, securing, two victories, while the women’s team lost its two weekend matches. 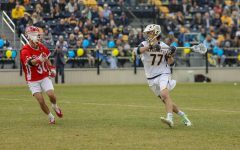 The Golden Eagles (9-8) defeated Xavier 5-2 Friday and then made the short trip to Butler for the 4-3 win. The men’s team concluded a five game road trip and extended its winning streak to three matches. Marquette won the first two games of set play, securing the doubles play. 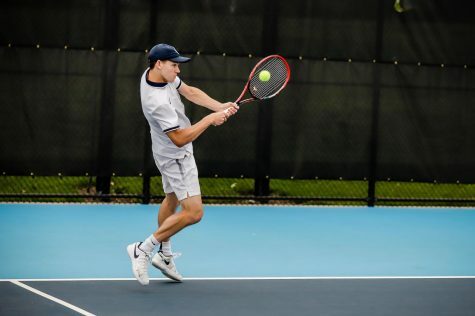 The top pair, junior Daniel Fernandez and senior Vukasin Teofanovic, narrowly defeated Xavier’s top pair 8-7, but an 8-5 win by sophomores Nick Dykema and Mackenzie Stearns secured the double point. 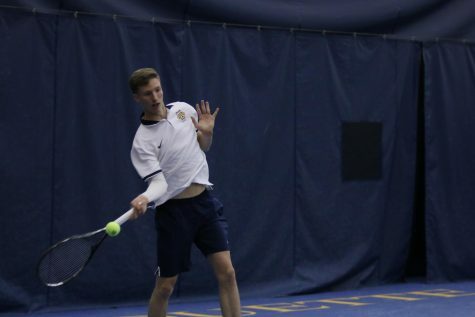 In singles play, Marquette won four of the six matches. Fernandez at No. 1 and Dykema at No. 3 won in two sets, winning 6-5, 6-1 and 7-6, 7-5, respectively. 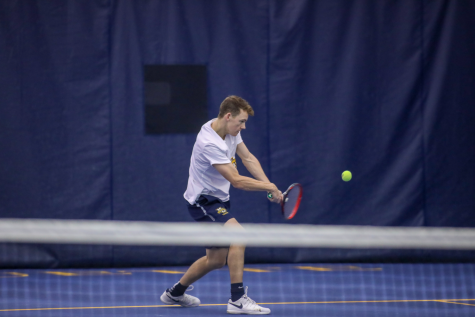 Sophomores Kristiyan Trukov and Stearns needed three sets to eventually get the win, defeating their Xavier counterparts 6-2, 3-6, 6-0 and 7-6, 6-7, 6-3, respectively. 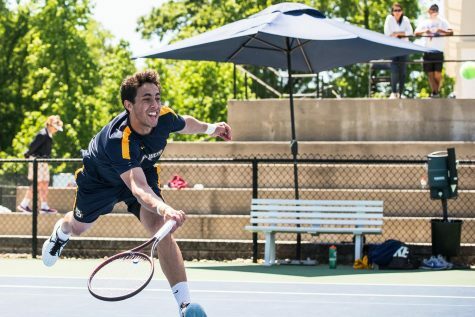 Teofanovic and freshman Andre Romanello both lost by scores of 6-4, 6-4 and 6-4, 6-1, respectively. 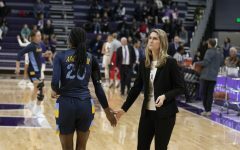 Using the momentum from Friday’s win against Xavier, the Golden Eagles won a much tighter matchup against Butler. Doubles play went to a third game, as Butler won the No. 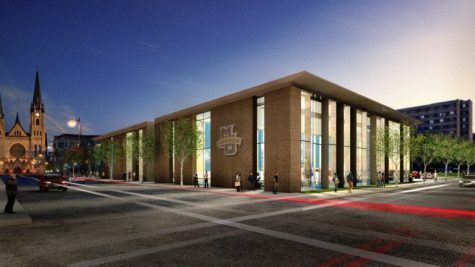 1 game and Marquette won the No. 3 match with an identical 8-5 victory. It came down to the No. 2 pairing of Dykema/Stearns, who lost a nail-biter to Butler 8-7. 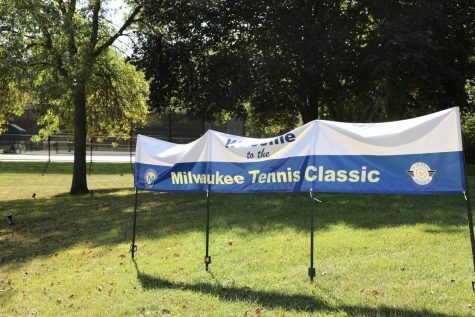 With the loss, Marquette entered singles play down 1-0. 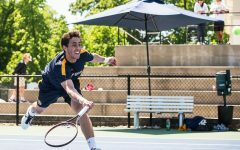 Fernandez, Dykema, Trukov and Stearns continued to shine and brought Marquette the win with wins in singles play. Dykema won 6-3, 6-2 and Stearns won 6-2, 6-0 to set up the Golden Eagles for a win. 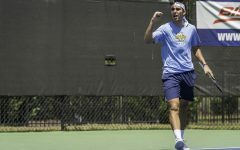 Trukov battled back from a 6-7 loss in the first set to win the next two sets 6-3, 6-2, and Fernandez clinched the victory with a 6-2, 7-5 two-set win. Teofanovic lost in a three-set thriller 6-3, 2-6, 6-3, and Romanello fell 7-5, 6-4. 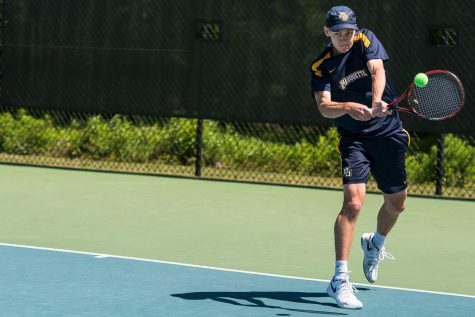 The women’s team (9-7) lost to Xavier 5-2 Friday and to Cincinnati 4-3 Saturday. 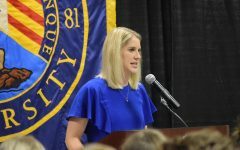 With the two losses, Marquette lost five of its last six matches. Xavier set the tone against Marquette Friday with the doubles point to start off the match. Sophomore Diana Tokar and freshman Paula Tormos Sanchez won the No. 3 game 8-3, but Xavier won the No. 1 and No. 2 spots for the first point of the match. In singles play, only Sanchez and senior Vanessa Foltinger won points, doing so as No. 5 and No. 6. 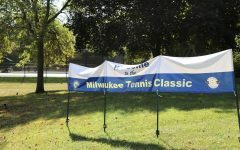 Sanchez won 6-0, 6-4, while Foltinger won 6-4, 6-0. 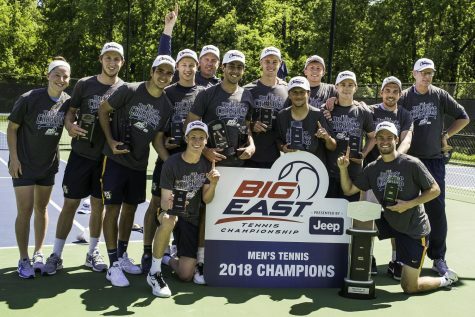 However, Xavier excelled in singles play as well, knocking off Marquette’s top four seeds. Junior Erin Gebes was the only Marquette player to go to three sets, as she lost 4-6, 6-4, 7-6 in the closest set of the match. Other losses included No. 1 junior Ana Pimienta falling 6-1, 6-2, Tokar at No. 3 6-3, 7-6 and No. 4 senior Ali Dawson lost 6-2, 6-4. 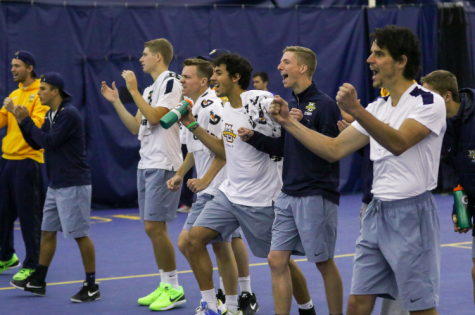 Saturday’s match against Cincinnati was a closer affair, but Marquette still came up short. 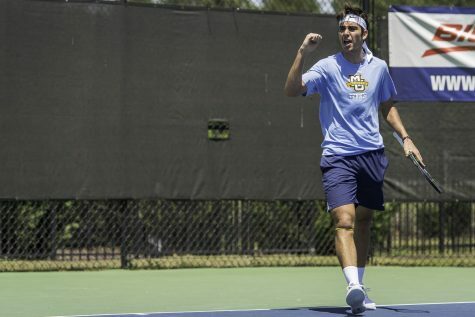 Playing just six games instead of eight, Marquette opened doubles play with another Tokar/Sanchez victory, this time a 6-1 score. 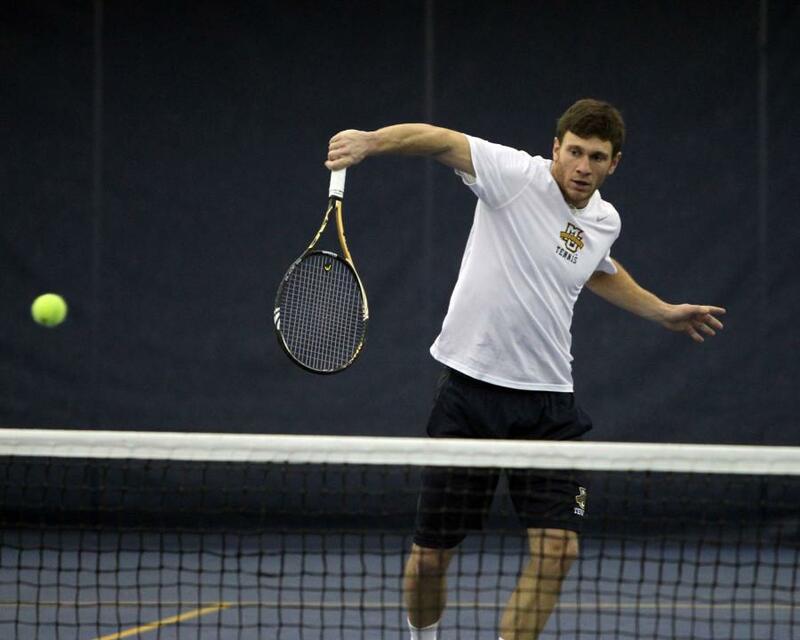 However, the Bearcats overcame the Golden Eagles’ top two seeds as Marquette dropped the doubles point again. In singles play, Sanchez played the toughest match of all players, narrowly beating her Cincinnati counterpart 7-6, 0-6, 7-6. Gebes redeemed her close loss against Xavier with a 6-2, 7-6 win at the No. 2 spot, while Foltinger won at No. 6 again, winning 6-0, 6-2. However, Pimienta lost 7-5, 6-3 at No. 1, Tokar lost at No. 3 6-4, 3-6, 6-2, and Dawson lost at No. 4 6-4, 4-6, 7-6. 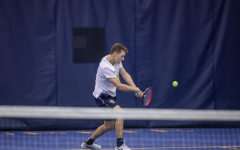 Men’s tennis resumes play after Easter break, when the team closes out the season with four straight home games. 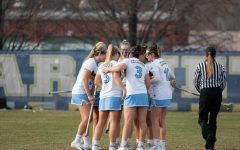 The women’s team continues its road trip with matches at Butler Saturday and Notre Dame Sunday.